What Exactly is MSG and Why is it so Bad for You? 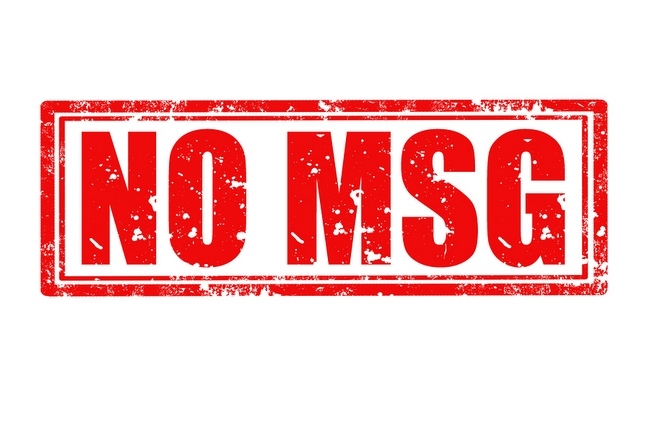 Home > Health News > What Exactly is MSG and Why is it so Bad for You? There is a substance added to almost all the foods you eat on a daily basis that has been linked to numerous physical problems, everything from Alzheimer’s to obesity, and most people don’t even know what it is. The worst part of this is that the food industry has known about this for decades and they have chosen to use it anyway. This substance is monosodium glutamate or MSG. We are going to expose this dangerous substance for what it is so you can make informed food choices in the future. MSG is the salt form of a non-essential amino acid. It’s commonly used as a flavor enhancer and is an extremely common food additive. Although most people only think of MSG as being I Chinese food, the truth is, MSG is in almost every single processed food, foods we eat every single day including barbeque sauce, baby food, infant formula, canned soups and veggies, salad dressing and bouillon cubes. Why do they add this substance? MSG tricks your brain and taste buds into thinking that the food you are eating tastes better than it actually does. MSG is an excitotoxin, which means it triggers your brain into producing lots of that oh-I-feel-so good drug dopamine. This means that manufacturers can cut back on quality ingredients, add some cheap MSG, increase their profits, and you never know the difference. Now that rush of good feelings that MSG brings won’t last all that long, but the consequences of eating MSG certainly will. MSG does more than just make the food taste better; it’s physically addictive, which will keep you coming back for more and more and more. This generally leads to overeating and wreaks absolute havoc on your body’s overall wellness. Many people have heard that MSG can cause nausea and headaches, but attribute it to sensitivity to MSG. The problem is actually much deeper than that, however. MSG is linked to obesity by many researchers (read also why the Americans are overweight). Not only because MSG makes you want to eat more, but in studies, subjects who were limited to the same caloric intake and physical activity, yet ate foods containing MSG were almost 3 times as likely to gain weight than their non-MSG counterparts. Researchers have also linked MSG to kidney and liver damage as well as increased blood pressure. The excitotoxins have been linked to brain damage as well, which leads to numerous neurological diseases including dementia, Parkinson’s, Alzheimer’s, multiple sclerosis, lupus, and many others. Don’t assume that it’s safe because you bought something from your local health food store. Many products that claim they are natural and/or organic contain MSG. Although some research studies show that MSG had no effects on some test subjects, the majority of people who eat MSG have found that they all experienced some type of side effect. Some experience a weakness of the arms or legs, flushing, burning sensations in the mouth, and, perhaps the most common reaction, headaches, sometimes severe. Researchers have found proof of these side effects as well, even though they cannot point to a root cause. For some people, these reactions come a few hours after consuming MSG, so they really don’t attribute their symptom to this ingredient. One study that involved mice showed that it produced hormone flucutaions, lethargy, and obesity. Who would think that they were feeling tired and gaining weight from regularly eating a particular product that contains MSG? Especially if its not labeled and you are unaware that you are consuming it! See also about the shocking hidden chemical in your dairy product. How can you protect yourself and avoid consuming MSG? Buy whole foods and prepare them yourself! Cooking from scratch with whole foods is the best way to be healthy and avoid unwanted ingredients. We realize that this is not always possible. Therefore, your second best defense is information. If you are vigilant about reading food labels, know what to look for, and ask the right questions, you can live a healthier life by avoiding this well-known toxin.